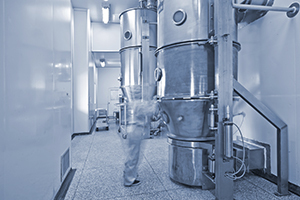 Founded as a Process Engineering consultancy in 1995, the Process Engineering Department at PROCHEM remains one of the mainstays of our business. Our continued success in this area has been the driver for many of the other services PROCHEM offers, based on client demand. Headed by Joe O’Shea, and with a strong and experienced team, PROCHEM’s strength in Process Engineering is that it has retained and developed engineering competencies which quite simply do not exist among PROCHEM’s competitive set in Ireland. With almost 20 years, and thousands of accumulated man hours of experience in the whole Process Engineering arena, we have a diverse and comprehensive list of successfully completed projects. We invite you to take a moment to peruse our Case Study Library to see some of these success stories. Alternatively , please feel free to Contact Us to discuss any specific requirements you may have. Our expertise in complex technical fields such as Stress Analysis, Reactor Heat Transfer Modelling and Emergency Relief Technology among others sets us apart, and allows clients to access significantly value added designs which would only normally be available from much larger international firms. Heat transfer and physical properties. Electrical design (power, lighting, services). Instrumentation design and development of control specifications. Solids handling design and dust control. Design and installation of pollution control systems. Design of emergency vent relief systems using Diers.